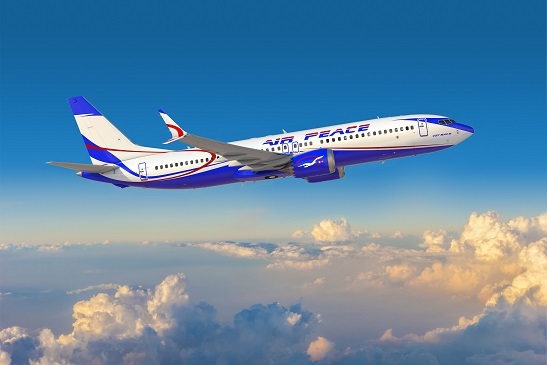 LAGOS, Nigeria, 2018-Sep-16 — /Travel PR News/ — Boeing [NYSE: BA] and Air Peace of Nigeria today ( Sept. 13, 2018) announced a new order for ten 737 MAX 8 airplanes during a signing ceremony in Lagos. This entry was posted in Airlines, Transportation, Travel, Travel Services, Travelers and tagged 737 MAX 8, Air Peace, airplanes, Allen Onyema, Boeing, Ihssane Mounir, Nigeria. Bookmark the permalink.